Forgoing the standard technical meshes they typically use, this deconstructed version of the Free 5.0 V4 features a leather upper. 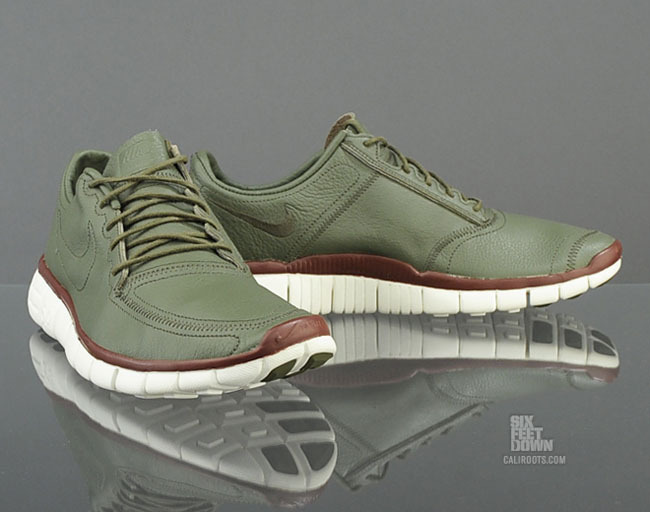 Forgoing the standard technical meshes they typically use, this deconstructed version of the Free 5.0 V4 features a leather upper. 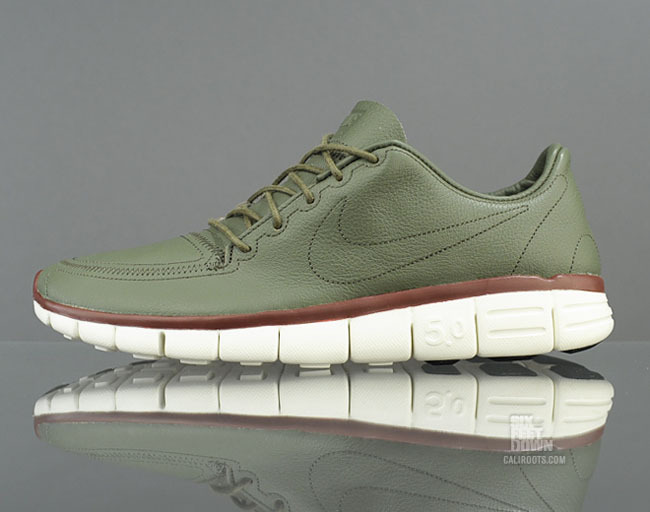 Although the upper is leather, it is still minimal. Even the Swoosh is minimal, and comprised only of a stitched outline. 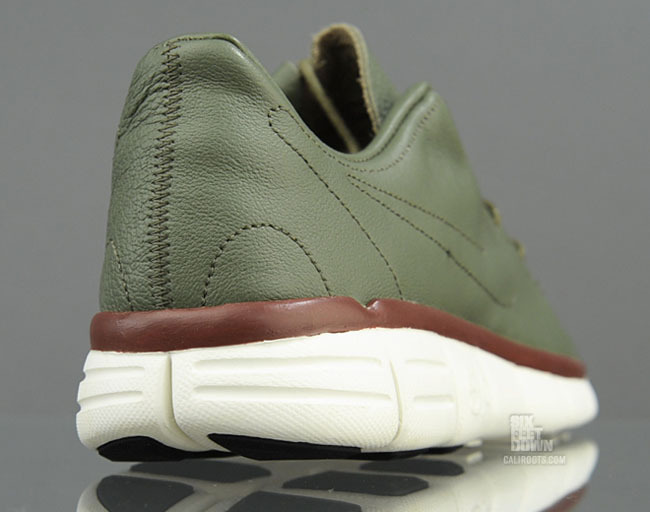 This Medium Olive colorway is available now through Caliroots.